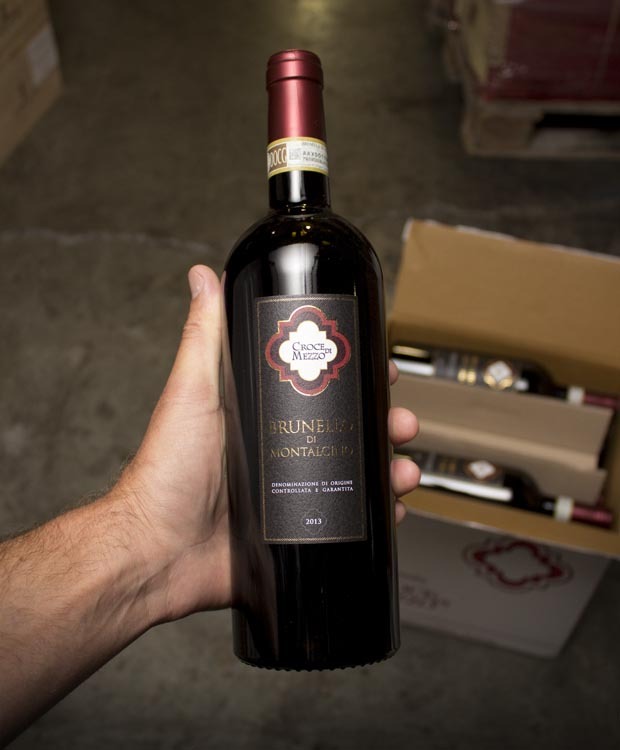 We are, plainly, INSATIABLE when it comes to Brunello. It’s a serious addiction. Our trash/recycling pickup person must think we are completely deranged (what...more Brunello bottles??). Especially 92-POINT, insanely-priced Brunello! That is why we, Terminator-style (relentless and unstoppable) work overtime tirelessly to get more and more of these JEWELS, these utterly satisfying, savory, complex and thrilling wines. With so many spectacular vintages to come (as we know from barrel sampling over the last few years), life is GRAND --- we are kids in a toy store with an Amex card and a case of Nutella. ‘13 Croce di Mezzo is a MUST!! This price!! Wow! Croce di Mezzo is a family-run winery and “agriturismo” (def worth a stay or visit if you are heading to Tuscany/Montalcino…) and while production is small, the wines are gloriously classic, a touch old-school, and outrageously good for the money, even at the original price of $75. At $35?? Critical. ESSENTIAL! The rose petal, dried cherry, fresh, sweet cherry and cigar box SOAR, jump, LEAP out at you, and all that fabulousness carries on into the mouth, with perfume and earth and beautiful texture. It’s just ravishing and with a little air, gets even better. It’s all about the fruit and less about the oak. So -- in conclusion, you need this, you want it, but best to move quick considering our silly price, as we got as much they could sell us, which is, sadly, not enough. While it lasts…! Another fantastic discovery from our trips to Italy, Croce di Mezzo has been making some excellent Brunello for decades now. Within the confines of Montalcino and its surrounding hills, certain names bring a heightened sense of appreciation - Biondi Santi, Banfi, Fattoria dei Barbi. Croce di Mezzo is tucked away on the road from Montalcino to Castelnove d’Abate, hidden between Biondi Santi and Fattoria dei Barbi. Despite being sandwiched between two of the area's most famous vineyards, most people haven't heard of Croce di Mezzo. Still, they share the same elevation and vineyard composition, receive the same amount of rainfall, harvest at the same time and make Brunello by the same standards as their more famous neighbors. The one big difference is the price, which represents a killer value compared to the more famous labels flanking their estate. roast red meat, game, aged cheeses.